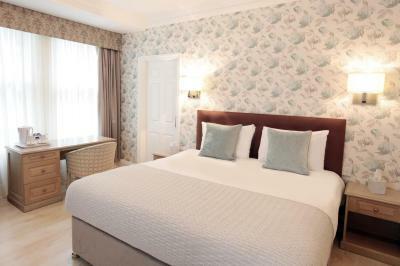 Lock in a great price for Victoria Square Hotel Clifton Village – rated 8.4 by recent guests! 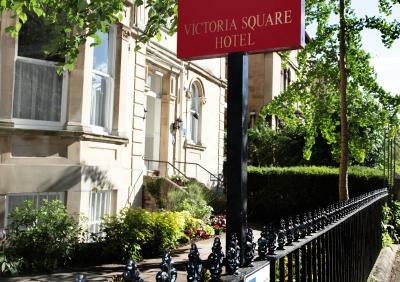 Victoria Square Hotel is always our first choice when over nighting in Bristol. Good choice of quality food for breakfast - cereals, fruit etc and traditional English - no "instant" scrambled eggs or greasy streaky bacon here! 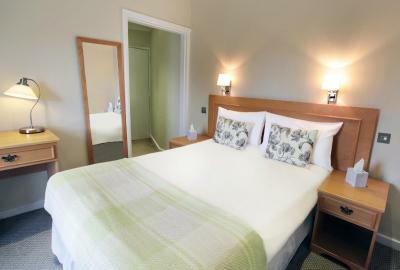 Comfy beds, room and Hotel spotless - freshly decorated? Car Parking no hassle. Above all, the staff were without exception outstandingly friendly and helpful. The best place I have stayed in for a while, would highly recommend. The staff were very friendly. 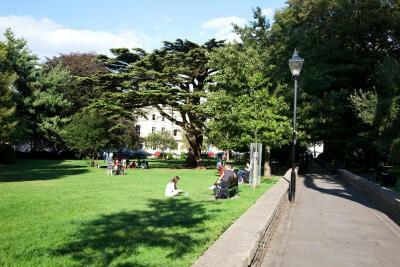 The location was excellent, with easy walking distance to Bristol centre and within a lovely area of Clifton. Restaurants close by. Great location for Bristol University and Clifton Village. Friendly staff and comfy room with everything you could need. The availability of parking, although at an additional charge, is a fraction of what you will pay elsewhere and is a huge plus in the busy part of the city. The location is great and the hotel looks great ... Victorian architecture ect. Convenient location for the bridge, a bit far from the centre. Parking lot is very convenient. Good size of the room. See review for our stay Set 7-9th. Great location. We were in the "other" building to the right of main entrance/reception on the first 2 nights - ground floor room. During this stay we were on the second floor in the "main" building. The stairs to the first floor are normal, reasonable steps. The stairs to the 2nd floor are super steep with short tread lengths, so not ideal for wrestling large baggage up. I must say, this is not a complaint, as the staff offered to take them up for us, but as I am not, as yet, (particularly) old or otherwise incapacitated, took them myself. Also, it must be realised that this is a nice, classic, old style hotel/building, constructed back when elevators weren't an option, so to be expected. Nice to have on site parking available - albeit for 5 pounds a day - in an area which is, to put it mildly, a challenge to find on street parking in. Excellent location above all. Right in Clifton village so easy to walk around. Very clean. Breakfast was good on the one day we had it - but no English mustard available! Staff were very helpful and accommodating. Clean, parking was available but they charged us, free, good breakfast, restaurant on site and food was good, check I; was easy, room was clean, price was good. Poached eggs at breakfast were excellent. The hotel was very handy or both Clifton village and a walk down Park Street. One of our best sellers in Bristol! Victoria Square Hotel Clifton Village is set on a leafy Georgian square in fashionable Clifton Village. It is located 1 miles from Bristol's center. Free Wi-Fi is available throughout the property. 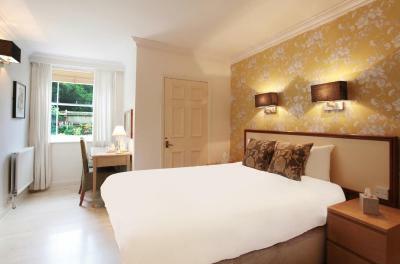 Rooms are spread between 2 listed Victorian villas and many have views over the square. 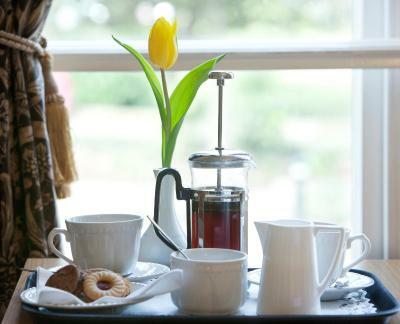 Each room features a high ceiling and includes tea/coffee making facilities. A buffet breakfast is served every morning. For evening meals, the property offers a menu featuring local produce with spices and flavors from around Europe. The property is located near a range of shops and cafés. 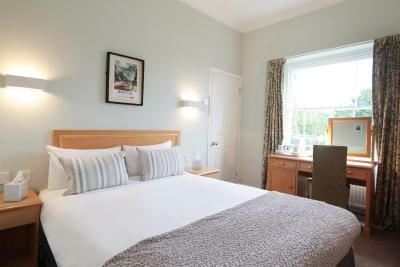 It is located 1.1 miles from Bristol Zoo and 0.6 miles from Clifton Suspension Bridge. 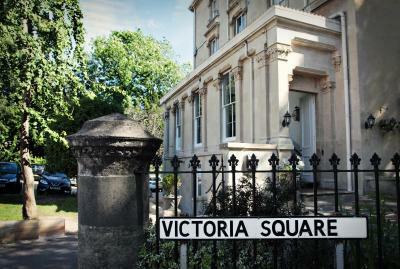 Victoria Square Hotel Clifton Village is 3 miles from Bristol Temple Meads Train Station and 8 miles from Bristol Airport. Clifton is a great choice for travelers interested in architecture, history and culture. 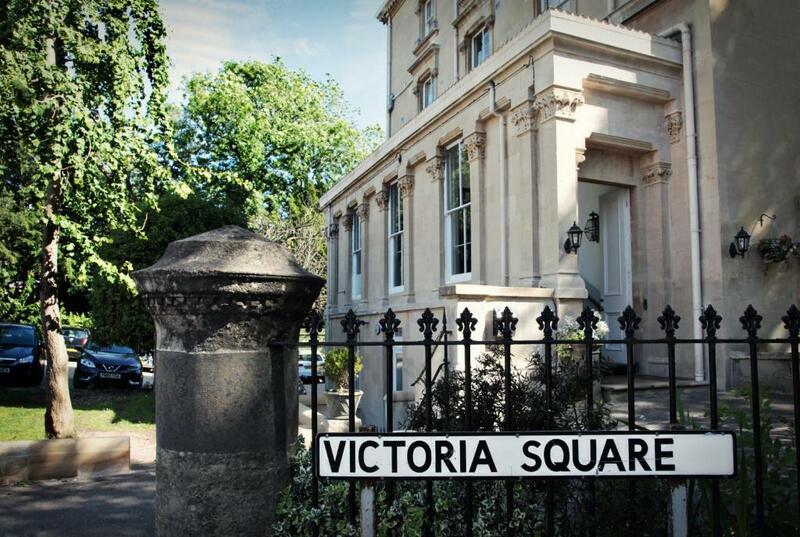 When would you like to stay at Victoria Square Hotel Clifton Village? 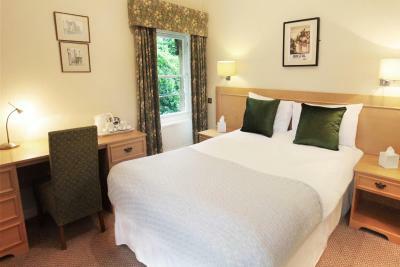 This room features a double bed and sleeps one or two people. This room has a TV with Freeview channels, free Wi-Fi, tea/coffee making facilities, a hair dryer, ironing facilities and an private bathroom. Private parking is available on site (reservation is not possible) and costs GBP 5 per day. 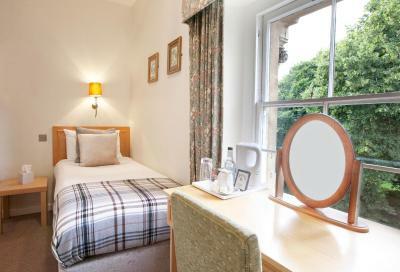 This Twin Room has 2 single beds and can accommodate 2 people. 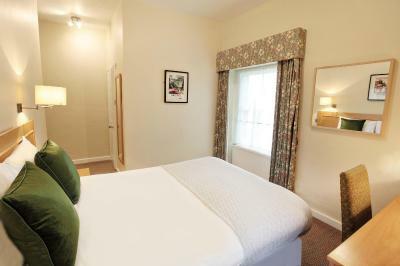 This room includes a TV with Freeview channels, free Wi-Fi, tea/coffee making facilities, a hair dryer, ironing facilities and an private bathroom. This Family Room has 1 double bed and 1 single bed. 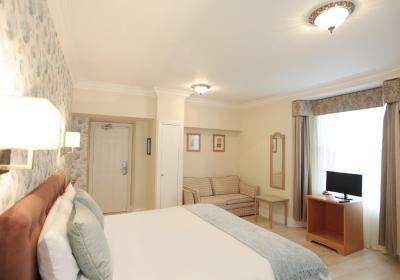 This room includes a TV with Freeview channels, free Wi-Fi, tea/coffee making facilities, a hair dryer, ironing facilities and an private bathroom. 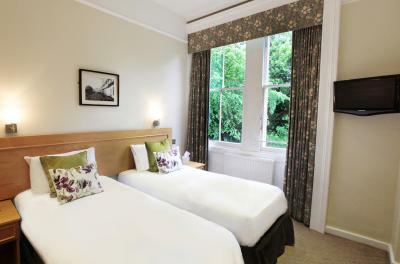 This Large Double rooms are the most spacious in the hotel. 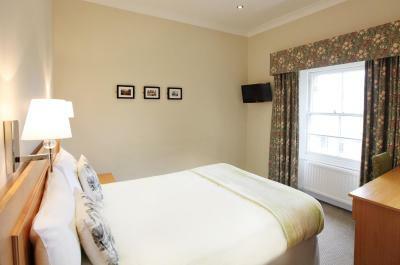 This room includes a TV with Freeview channels, free Wi-Fi, tea/coffee making facilities, a hair dryer, ironing facilities and an private bathroom. 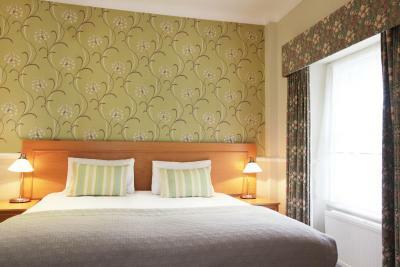 This smaller double room features a TV with Freeview channels, free Wi-Fi, tea/coffee making facilities, a hair dryer, ironing facilities and an private bathroom. This is a small room for single occupancy and features a TV with Freeview channels, free Wi-Fi, tea/coffee making facilities, a hair dryer, ironing facilities and an private bathroom. Hotel surroundings – This neighborhood is a great choice for travelers interested in architecture, history and culture – Check location Excellent location – show map Guests loved walking around the neighborhood! House Rules Victoria Square Hotel Clifton Village takes special requests – add in the next step! 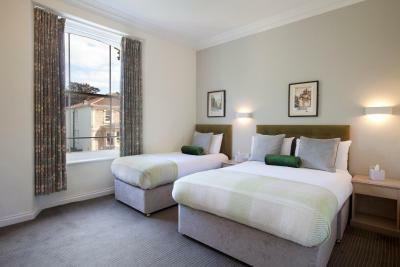 Victoria Square Hotel Clifton Village accepts these cards and reserves the right to temporarily hold an amount prior to arrival. Reception is open from 07:00 to 23:00. If arriving after 23:00, please contact the hotel to arrange for a late check-in. When booking a half-board included rate, a 2-course dinner is included - starter and main course or main course and dessert. If having a 3-course dinner, the cheaper starter or dessert will be included. A third course is also available for GBP 3.There is no refund for meals not taken by guests. Please note that the restaurant is open from Monday to Friday, from 18:00 to 21:00. 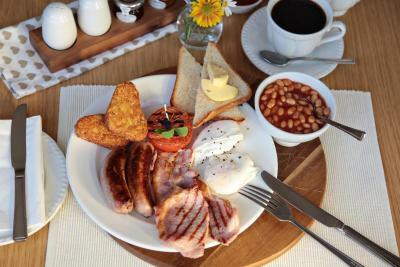 Breakfast is served buffet style - a full traditional and continental breakfast with tea or coffee is offered. Early arrivals are encouraged. Please note that there is no elevator at the hotel. If you require a lower floor room please request this (subject to availability) when booking using the Special Requests box. Alternatively, use the contact details found on the booking confirmation. Car parking is allocated on a first-come, first-served basis and costs GBP 5 per day (from check-in time to check-out time). On-street parking is also available locally when a permit is purchased from the hotel and costs GBP 5 per day (from check-in time to check-out time). Guests below the age of 18 must be accompanied by a parent or legal guardian. Any damages made to the property will be charged to the card used to make the booking. Any guest who is abusive, threatening or offensive to other guests or staff will be required to leave the hotel immediately and refunds will not be issued. 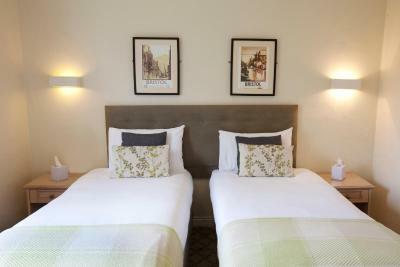 Extra beds and cots must be confirmed by the hotel prior to arrival. Group reservations will be contacted after the booking has been made to make payment arrangements. The property will be going through renovation works until the end of February 2019. During this period there will be scaffolding up around the exterior on one of the buildings and it may be restricting some room views. I could hear the guests next door. The room was too hot unfortunately, it was a hot weekend but wasn’t quite expecting the room on the second floor to get quite that hot. Shower was really tricky to turn on and off, twist turn was old and had to have a lot of muscle power to turn it, struggled with it. 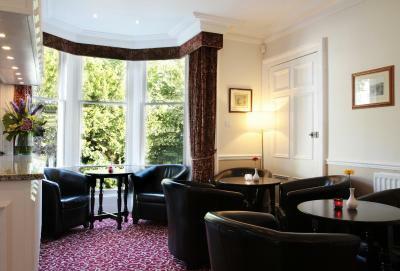 This hotel is in a great location, just a few minutes walk from Clifton. Staff seemed friendly. Bathroom door could be silent, it creaked a lot during the night and we had to wake up every time one of us used the bathroom. Fantastic stay. Excellent value for money. Massive room, very clean and comfortable. Would definately stay here again!!! Room very basic some toiletry items not provided. Breakfast was inedible, eg. scrambled eggs brown texture and pretty solid. Poached eggs were rock hard and cold at 8 am!!! Evening meal very poor with one uneaten. When we got a bit picky with the waitress about the above she became offhand and a tad challenging, not good for public relations. bed in single room maybe a little narrow! breakfast was superb;hotel is beautifully redecorated victorian villa set in a very elegant clifton area..convenient bus routes stop right outside the door ! !